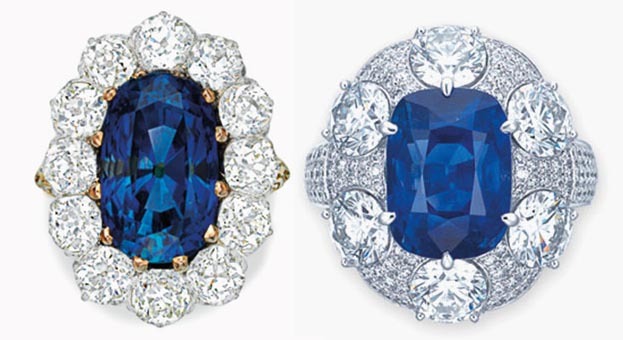 At first glance, these two gorgeous sapphires seem to be nearly identical. They both weigh approximately 10 carats and boast a comparable cut and hue. However, when offered for sale at Christie’s New York, one fetched $50,000, while the other commanded $305,000. Why the big difference? Christie’s jewelry specialist Jessica Peshall shed light on the seemingly subtle differences in the stones that can dramatically affect their valuation. 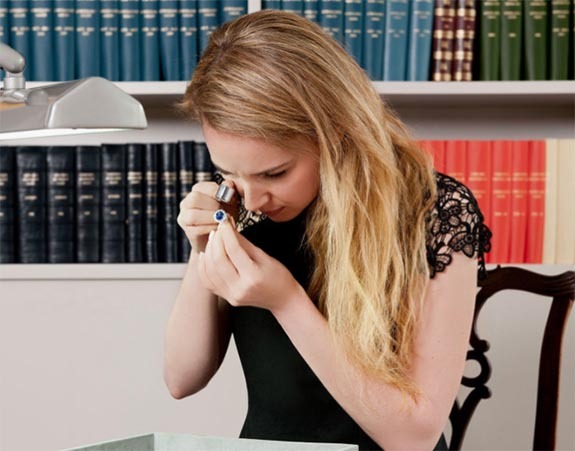 In an article titled, “Unlock the Mysteries of Your Jewel Box,” the London-based specialist explained that, when it comes to world-class sapphires, it’s all about the origin. “The three most important geographical locations for sapphires, in order of the premiums their origins command, are Kashmir, Burma and Sri Lanka,” Peshall wrote on christies.com. The sapphire on the left, which weighs 10.27 carats and was sourced in Sri Lanka, exhibits a well saturated, bright, clean appearance, according to Peshall. When the hammer went down at Christie’s New York in September of 2016, the winning bid for the gem was $50,000. When the Kashmir sapphire was auctioned at Christie’s New York in December of 2015, it sold for $305,000 — more than six times the amount of its Sri Lankan cousin.